PC-DMIS Portable Software - CMM Inc.
PC-DMIS Portable provides the tools you need to effectively monitor operations and identify minor issues before they turn into costly problems. With this technology, you can effectively take measurements and analyze the results where parts are made and assembled. PC-DMIS Portable is the ideal measurement application for portable metrology equipment including portable CMMs, laser trackers, and total stations. A wide range of scanning techniques and devices are supported, using both predefined and free form scans, ranging from simple hard probes to sophisticated laser scanners. PC-DMIS Portable features a quick start GUI that makes it easy for non-CMM experts to get the most from their equipment and to measure complex, contoured parts. This is done by using a suite of algorithms, which help in aligning the complex parts by using best-fit and iterative techniques. Furthermore, its CAD++ option includes an unmatched library of sheet-metal measurement routines. Lastly, PC-DMIS Portable makes it easy for shop floor personnel to measure parts with minimal training and maximum effectiveness. 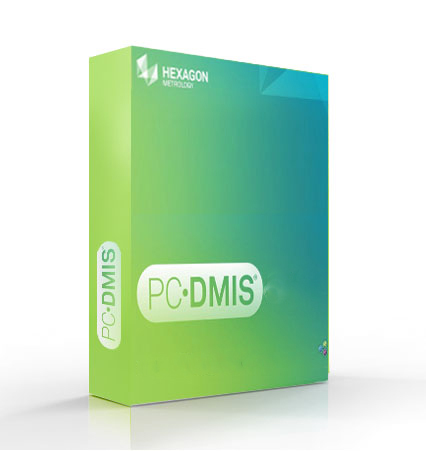 Thanks to its innovative and unique software, PC-DMIS Portable also lets you measure in any order without having to worry about the part program. This eliminates unnecessary movement and wasted efforts.